This year, we spent the fourth of July with family and friends in Minnesota. 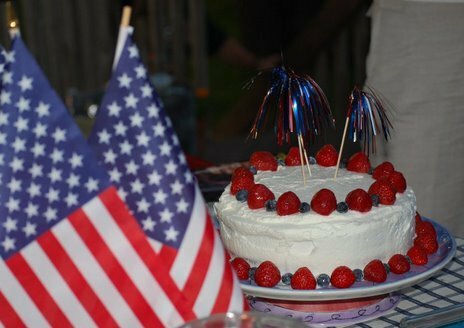 Our wonderful hostess, Aunt Martha (not Martha Stewart, though she is just as creative and inspiring), elevated my red, white, and blue jelly poke cake with whipped cream frosting on a beautiful cake pedestal. 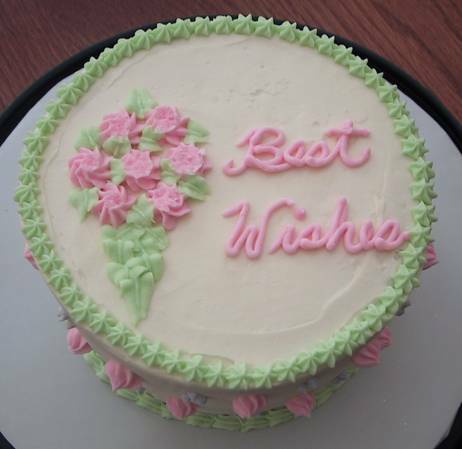 The cake itself is served cold so it is a nice refreshing treat on a hot summer day. 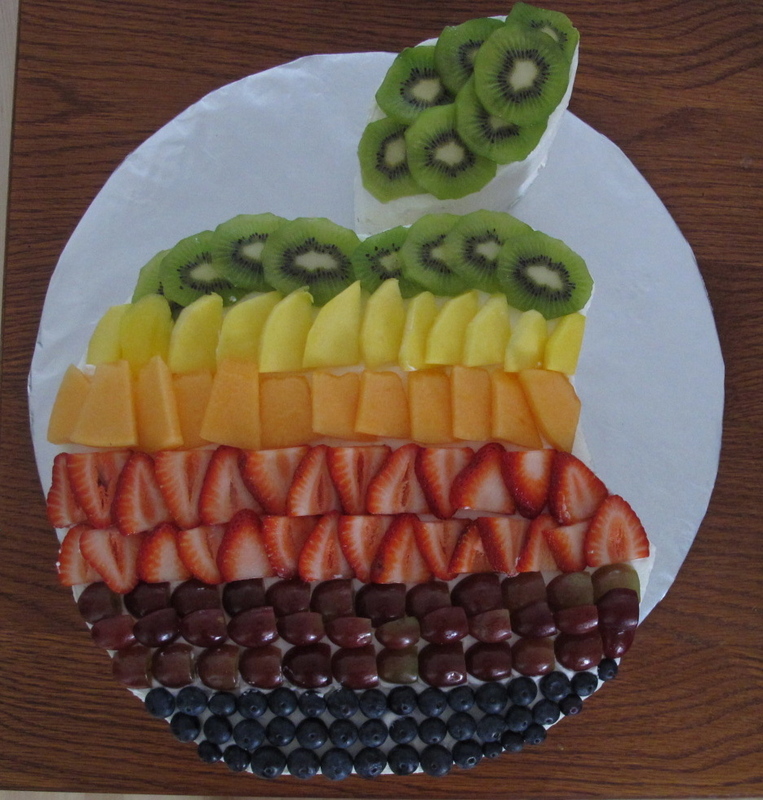 Here, I just did a simple decoration of alternating blueberries and strawberries. Next to it, you can see the result of poking then drizzling the cake with the red and blue jello. 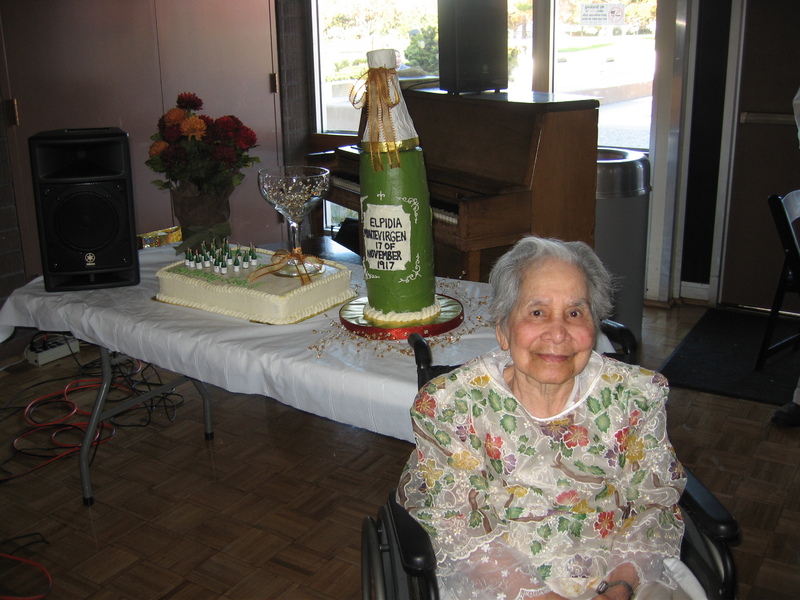 My grandmother turned 90 on November 2007! 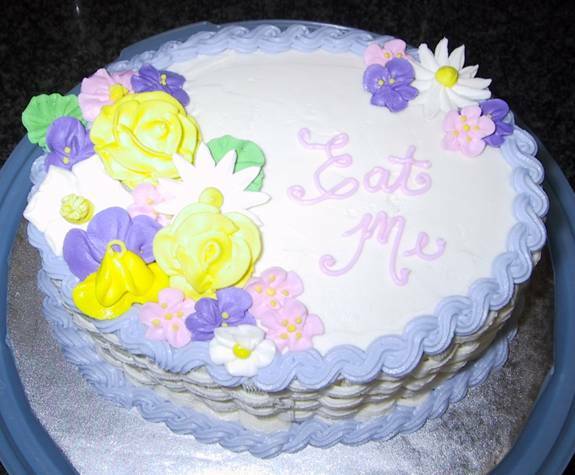 I was at a loss as to whether we should get a professionally decorated cake, or if I should make her one. Last minute, I decided to make her one as one of my gifts to her. Since we were expecting >220 guests, I decided to make her 2 cakes…one champagne shaped (feeding ~100 guests) and one full sheet (feeding ~150 guests). I used miniature champagne bottle candles to form 90 on the cake and placed a large champagne glass alongside them. Here is a picture of my grandmother posing in front of the cakes. I took some Wilton courses at a Michael’s store and I was glad I did. They taught me some basics and helped me set aside time to practice using decorating bags, couplers, and tips. 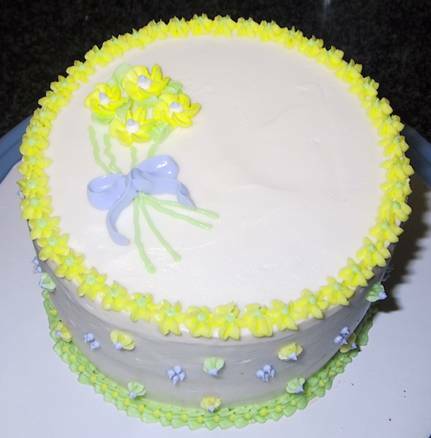 The best part was learning and then practicing the different icing methods on a plastic board. I would never do that alone at home given the other pleasant distractions, such as my son & husband. Here are a couple of my practice cakes. I had my husband bring the cakes to work since we decorated a cake every week. 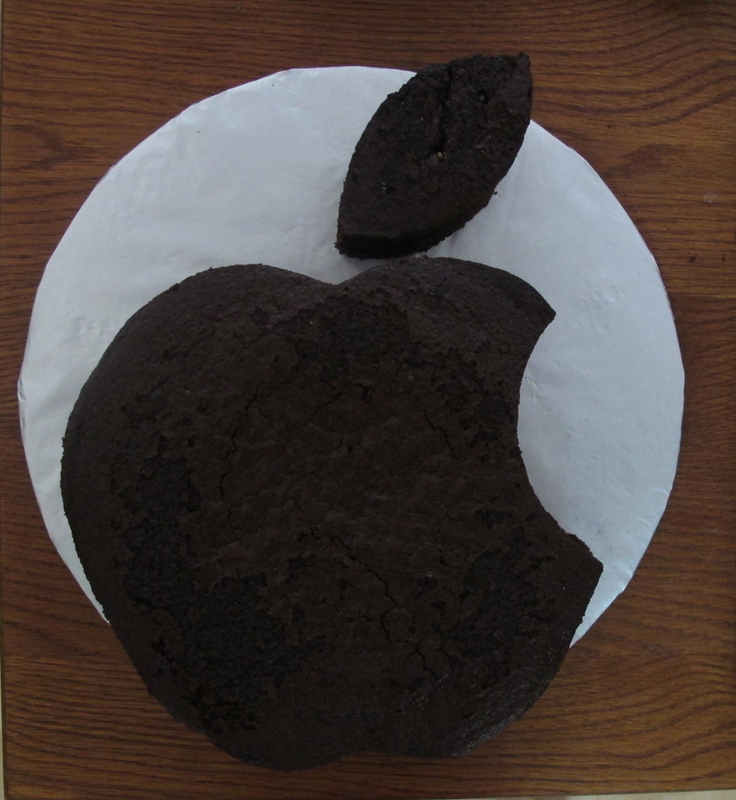 Sometimes I brought in a cake or two for my co-workers. I wanted my wallet to pay the price of the class, not my thighs!